Service plays many roles in my life. As a social scientist, who works with under-represented communities, I find ways to actively use my skills or privilege to give back to the community. I mentor and coach first-generation/low-income undergraduates and women pursuing academic careers to reciprocate the mentoring and coaching I am grateful for throughout my career. As an academic, I give back to my department, to my university, and to my field, who have created and sustained this space for intellectual development. While conducting fieldwork in Cheboksary on a Fulbright U.S. Student Grant, I was able to help plan and support a summer language immersion camp for families and youth interested in developing their Chuvash language skills. I was also able to fund a scholarship for low-income youth who showed great interest in the language. 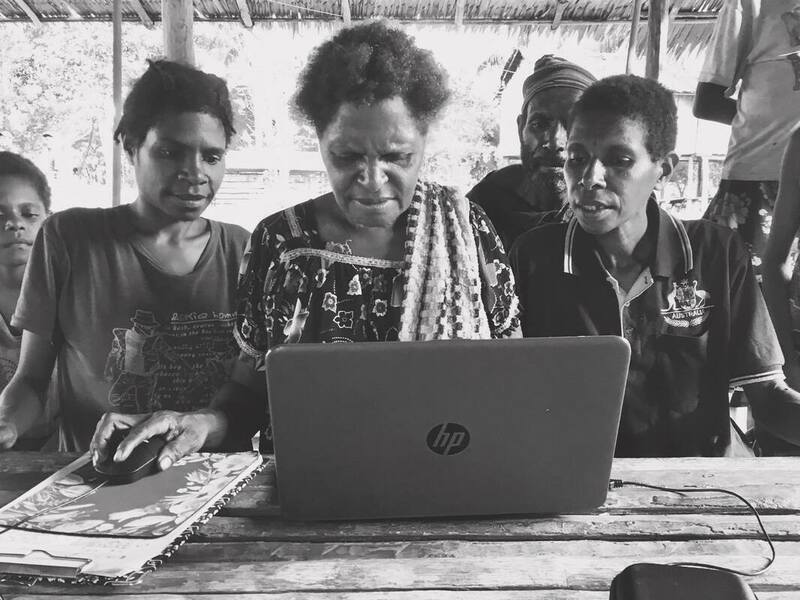 In order to address the immediate literacy needs of the Idi community, our team developed two orthographies for the language: one for literature and linguistic work and another more suitable for texting and technology. I have mentored six undergraduate and graduate students in field research resulting in successful grant and graduate school applications and published papers. I work with a highly-motivated group of students who, for one reason or another, took time away from Stanford after a period of academic struggles. Together with Stanford's Center for Teaching and Learning, I coach them in skills that can help them succeed academically. We meet weekly to discuss scheduling time, high-stress work flows, stress management. writing, and navigating student services. For the past three years, I have served as a mentor for my Alma Mater's Honors mentoring program. Each year, I'm paired with an Honors student interested in languages, literature or international studies. Together, we discuss career plans, graduate school, post-graduate life, fieldwork, job applications, interviewing etc. Many first-generation, low-income students have a difficult time adjusting to college life or lack mentors who have successfully navigated the maze of higher education. I was fortunate to have many mentors guide me through undergrad and continue to advise me through graduate school. To give back to this community, I serve as a mentor for first-generation undergraduates through the FLIP mentorship program at Stanford. Linguistic Society of America’s Committee on Endangered Languages and Their Preservation (CELP), member. Linguistic Society of America’s Committee on Status of Women in Linguistics (COSWL), member. Linguistics Department Website Committee, member. Linguistics Department Qualifying Paper Festival, co-organizer. Stanford Linguistics Fieldwork Group, co-leader (with Bonnie Krejci). Stanford Linguistics Department Colloquium Committee, member.